The label of its right child is (p+q)/q. You are to write a program that gets values p and q and computes an integer n for which an = p/q. 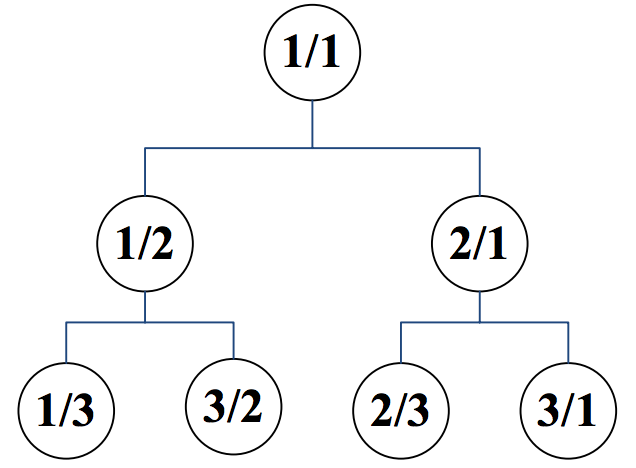 The first line of the input includes the number of test cases, 1 ≤ t ≤ 1000. Each test case consists of one line. This line contains p, followed by / and then q without any space between them. For each test case, output in one line an integer n for which an = p/q. It is guaranteed that in all test cases n fits in a 32-bit integer.